I am away in my birth country Sweden for 3 weeks so there wont be much blogging as I dont have an internet connection in the holiday house. However I am in my parents flat at the moment so can take the time to share some nail polish stories. Rimmel Play Fast "Camouflage" - I got this from the lovely Sanna at Makeupmylack :D Tack så mycket Sanna! :) I will be swatching this as soon as I can! Hot Stuff Collection from Isadora - Got the whole collection "from Santa", was disappointed with Spellbound black, but I am not the only one. It has an awesome aqua shimmer in the bottle which becomes invisible on the nail :( Have two more from the collection to try and hope they are as good as shown in the bottle. HAPPY NEW NAIL POLISH YEAR EVERYONE! Well it's been 5 mins since I painted my nails (all hail the mighty Poshe top coat!) so I'm off to pack my cowprint suitcase! :) Have a great weekend everyone! It has to be kept in the fridge to keep fresh and lasts for about 2 weeks. 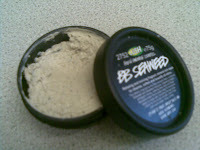 BB Seaweed smells lovely of roses and patchouli, and contains seaweed and kaolin clay. It dries quite crispy and is a bit flaky but it doesn't dry out my skin. I am hooked on this face mask, and will definitely be buying it again :) 5 of 5 stars! I don't know what to say about this manicure, I just know I love it :) This is the animal pattern from the M2 plate in China Glaze "Wagon Trail" over Zoya "Richelle". I have to say, I am not the biggest fan of the smell... Its lemony, sure, but too overpowering to be fresh. But the butter, OMG! It works miracles as a night treatment for dry hands and feet. I have problematic feet that peel and split and this seems to have tamed them! For my rough feet, I am sticking to Lemony Flutter for the long haul. For my nails however it's too smelly, I am sticking to my long-term lover Solaroil. It really is the smell that puts me off. It's not nice, and it lingers. I give Lemony Flutter 3 of 5 stars. 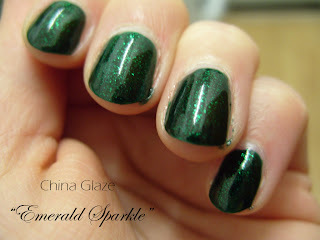 Early Christmas - NOTD with Konad! We celebrated an early Christmas as I will be going away to Sweden for Christmas again this year and I wanted to have a little celebration with my S-O. Anyway, my present from him was - Konad stamping nail art! :) After looking at videos and instructions on bloggs, I went to work. I only got ONE nail right out of 10, haha :) Nevermind. Practice makes perfect! The nail polish is Barry M's 284. It is actually more like China Glazes "Moonpool" than you'd think from the photo and it costs £2.99... I used Konad's special polish in Black for the designs, which are from image plate M4. 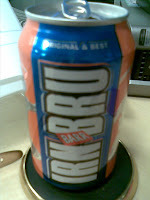 And yes it is pronounced "iron brew" and it does contain ferric citrate (a form of iron). Only in Scotland! I either stick my stones to the actual colour polish while its still wet, or I apply a little blob of top coat and stick the stone in there. Larger (2.5mm+ stones) need bigger blobs, and flowers and fimo will most likely need proper nail glue. For rhinestones I also like to use two thick coats of Seche Vite/Poshe top coat as it secures the stones on the nail for at least 3 days. 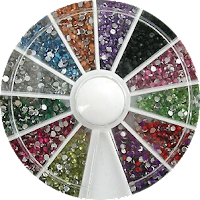 If you don't put on a thick clear top coat, your rhinestones are likely to come off within hours. 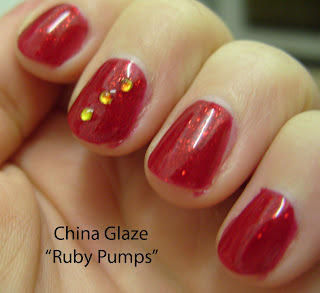 NOTD - China Glaze "Ruby Pumps"
I love "Ruby Pumps"! :) I keep forgetting just how gorgeously prismatic it is. My only gripe with this polish is that its messy to apply and a PITA to take off - it stains your hands something rotten. But its totally worth it. This is base coat, 2 coats "Ruby Pumps" and 1 coat Poshe - but the polish eats the top coat so will put on another coat tonight. In the wintertime I get more magpie-ish, I think it is cause of the lack of sunlight! The round bottles are attractive, and add to the "we're different but still cool" vibe of this brand. So how was it for me? It has a mild astringent "herbal" smell, not very noticeable. I like that.  The more organic/natural products I try the more I can't bear over-perfumed products. It cleans nicely, and leave a nice shine. Careful not to take too much product; the shampoo lathers a lot and the conditioner is very rich, so you only need a tiny bit. 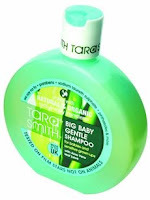 It didn't upset my scalp, no flyaways or static, and no tufty bits :) 4 of 5 stars for Tara Smith Big Baby! "Rougemarie" is part of the Red She Said MAC holiday collection. I saw this polish and knew I had to have it :) Usually I admire the MAC polishes from afar, but never buy them so when the sales assistant n Harvey Nichols in Edinburgh said that it might be out of stock I was heartbroken. But after a lengthy drawer search, she found it! :) "Rougemarie" is a glossy, vampy dark red. The formula seems a little bit thick, but it presents no application issues and you get perfect coverage in 2 coats. This is Seche Clear base coat, 2 coats of "Rougemarie" and Poshe top coat. Also, "Rougemarie" will go great with my MAC "Russian Red" Lipglass :) So top marks for "Rougemarie"! Final verdict? I think I need to test Poshe more. I have applied it to today's mani too to see how it performs on a creme. Then I will do another similar road test to this one and watch the results. NOTD - China Glaze "Coconut Kiss"
This is part of my experiment Poshe v Seche, so on this photo, you can see Poshe top coat luxurious shine. So I have finally got my hands on a Poshe fast-dry top coat. In the spirit of making informed decisions, Pretty Perfect Beauty has performed an advanced scientific test to compare the two highest ranking top coats; on my right hand I put Seche Vite Dry Fast Top Coat, left hand has Poshe Super-Fast Drying Top Coat. I have a Bachelor of Science, and I live for a good scientific experiment :) So here goes! Seche: Thick and self-levelling, dries to the touch in 1 min, dry nails in 6 mins 32 sec mins. Poshe: Slightly thinner than Seche but still self-levelling, dries to touch in 1 min as promised, dry nails in 6 mins. Check back on Sunday for the Advanced Wear Test, including a whole day of travel, household chores, shopping and partying.